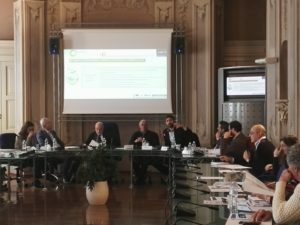 Organized by the Chamber of Commerce of Alessandria and Unioncamere Piemonte in collaboration with the CGreen Regional Innovation Pole and the Piedmont Region, the workshop is developed within the Enterprise Europe Network, co-funded by the European Commission to support innovation and the competitiveness of European SMEs. 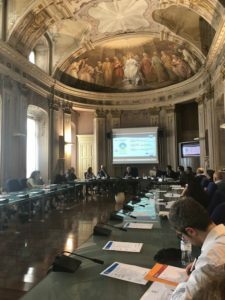 The aim of the meeting is to provide an overview of European and regional funding opportunities for companies operating in the field of Advanced Materials and Sustainable Chemistry. Next, interested companies can ask for a appointment with the APRE National Contact Point and the CGreen pole experts to have a first evaluation of their design idea. 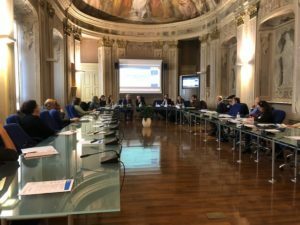 On November 23, the workshop “Horizon 2020 & the CGreen Regional Innovation Pole” was held and organized by the Chamber of Commerce of Alessandria and Unioncamere Piemonte in collaboration with the CGreen Regional Innovation Pie and the Piedmont Region.